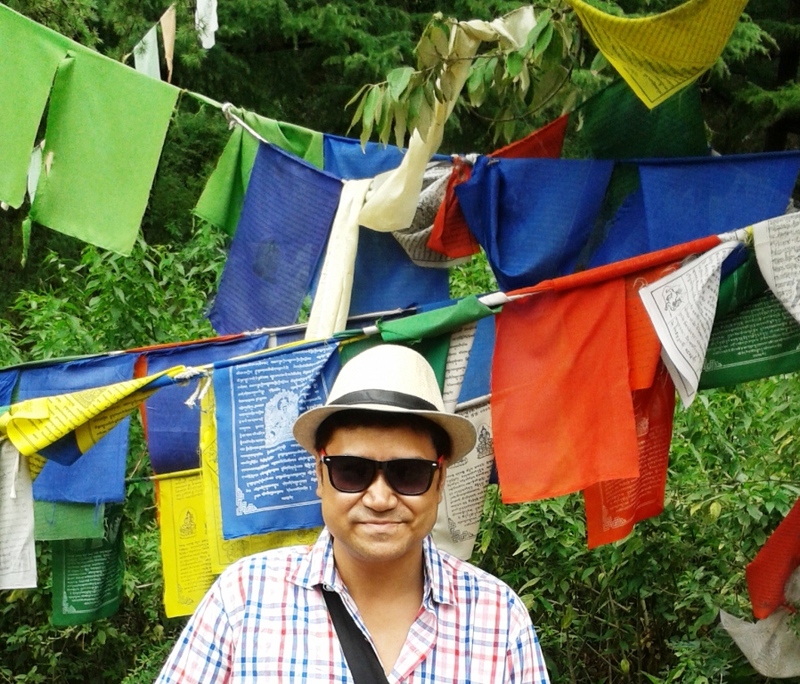 Dharamshala had been a long cherished attraction for me not only from the point of view of a tourist’s perspective, it had been equally alluring for the aura of His Holiness the Dalai Lama. Our booking was done in advance at the hotel “The Kunal” (HPTDC Group of Hotels) located very near to the ISBT Dharamshala. It was raining cats and dogs when we landed up early in the afternoon after our long journey. 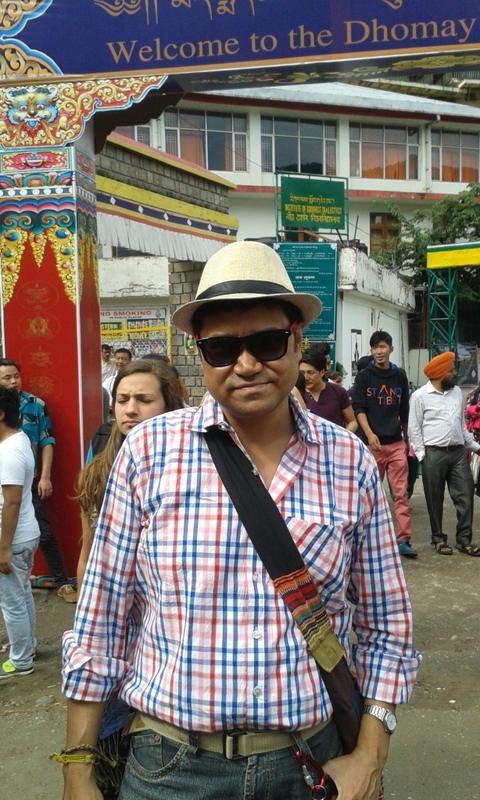 We were apprehensive about the next day’s tour in and around Dharamshala in this unfavourable weather. We had to be locked in our hotel rooms till around 5pm in the evening, when something magical happened in the skies. The clouds disappeared and suddenly there was not a trace of any rain anywhere. We thought it was the ideal time to explore the city. 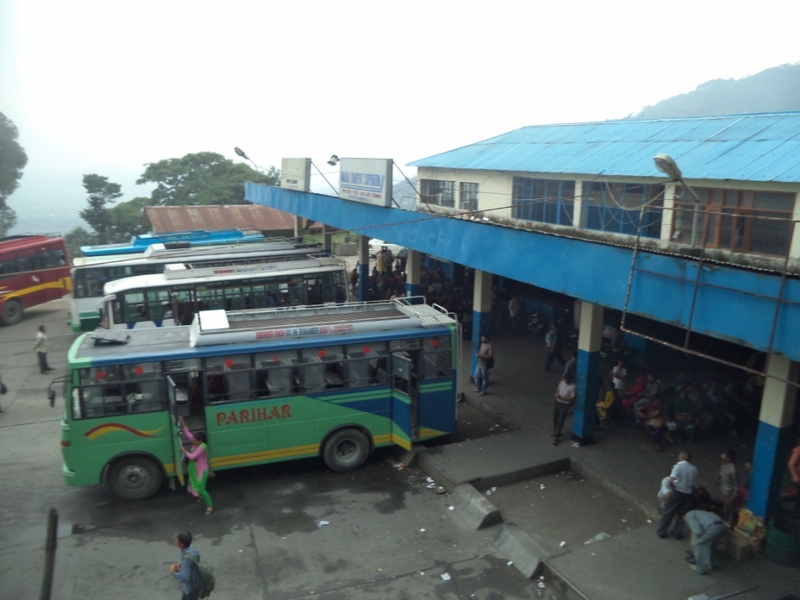 Dharamshala Bus Stand which may look very simple is a place of lots of buzz. We booked a cab for the next day’s trip around Dharamshala from the Ex-Servicemen Taxi Union located near to the bus stand. As we needed to purchase some snacks and essential stationery items we decided to explore the Kotwali Bazar. We took the up-hill stairs located right to the bus stand in order to make a short-cut entry to the market. We thought that Kotwali Bazar would be a small one, but to our surprise, it was pretty big and spread over with a variety of shops ranging from Pizza and confectionary shops, grocery shops, branded show rooms, merchants, street stalls and to our surprise even a big mall. 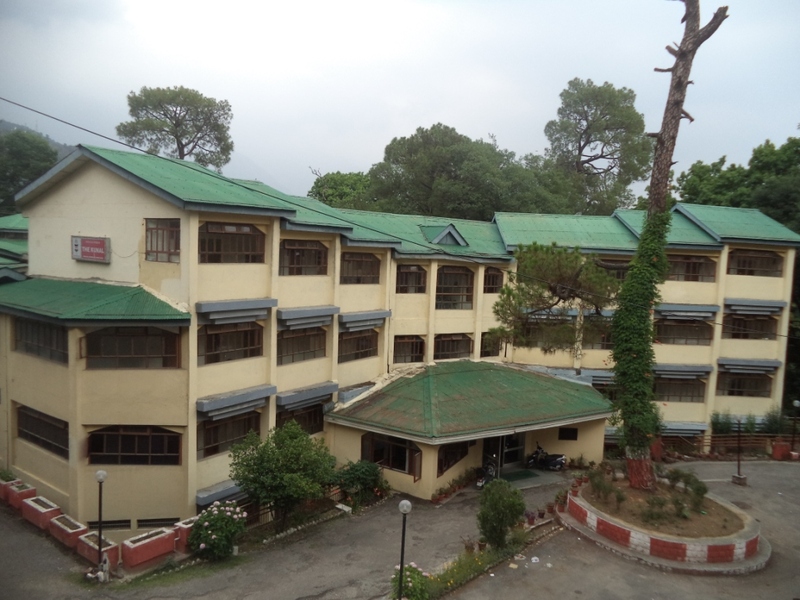 The Hillside Mall, is located at the Khaniyara Road, Kotwali Bazar, Dharamshala near to the Kangra Cooperative bank. 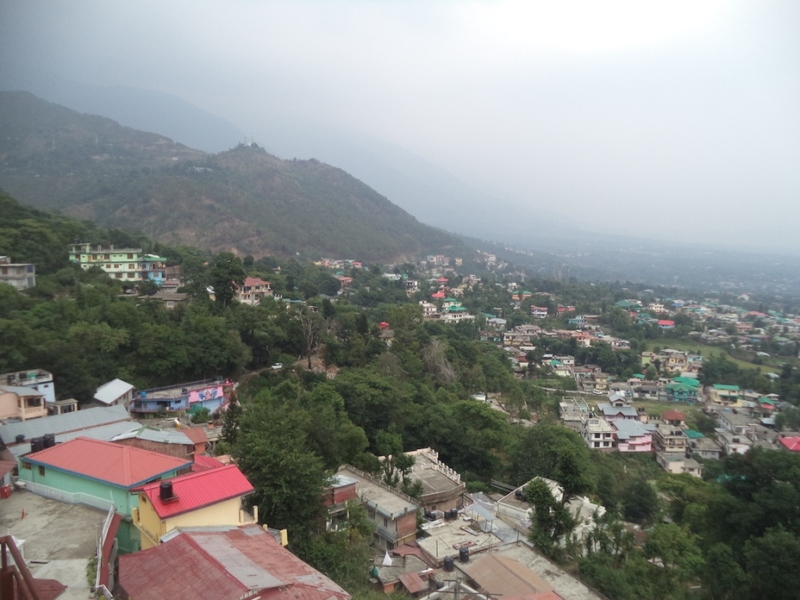 The Mall provides an excellent view of the entire town of Dharamshala, which is a treat for every tourist. One has to escape the eyes of the on-looking guards at the mall to have an opportunity to be at the valley-view terrace which is not suggested for anybody visiting Dharamshala. The distant views of the Kangra valley and the town is spectacular – particularly that of the Himachal Cricket Association stadium is amazing. We were all early waiting for our next day’s trip to Mcleodganj. Atfirst we were all wondering why the hell our cab driver was relentless to have a very early morning trip – which we politely denied. The reasons we found out badly in the day. 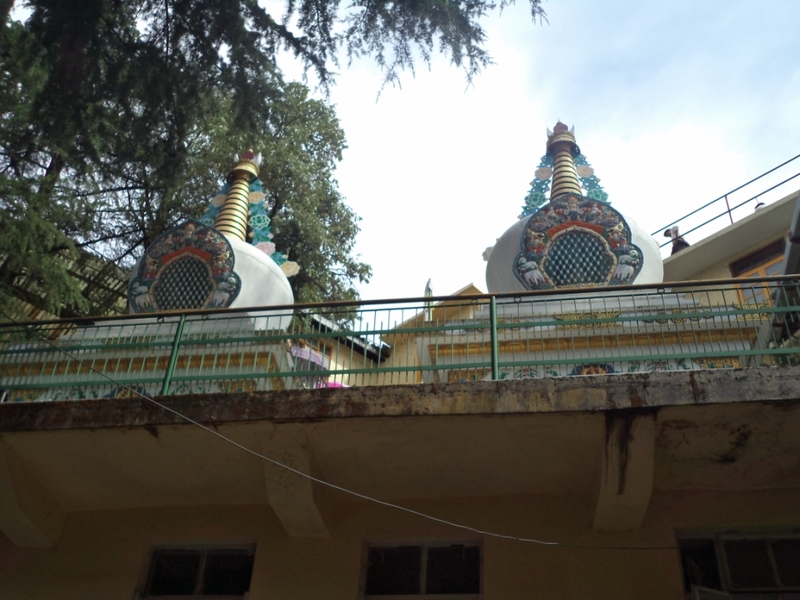 Anyway as our first point was the famous Mcleodganj. We were excited like anything and kept our fingers crossed if we could somehow even got an opportunity to have a glimpse of the Dalai Lama at his monastery. 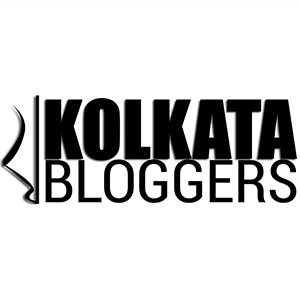 We could not figure out why the hell the cab driver left the Mcleadganj road and took the Khara Danda road after crossing the Hillside mall at the Kotwali Bazar. The name “Khara Danda” was really appropriate. 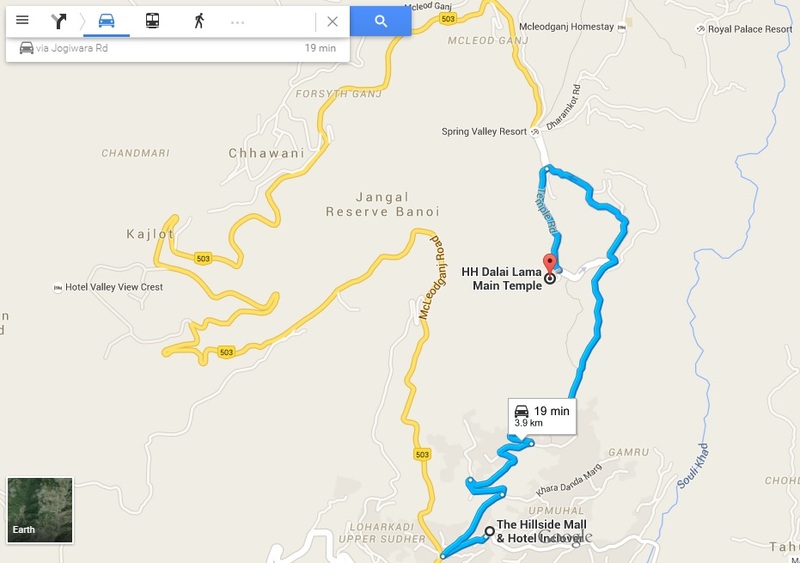 It is the stiffest climb of a road I had even seen in a hill station. When we changed to the Jogiwara road the climb was much stiffer and narrower. We thought a second’s lack of concentration from the driver would land us a fall down the slope of the road. 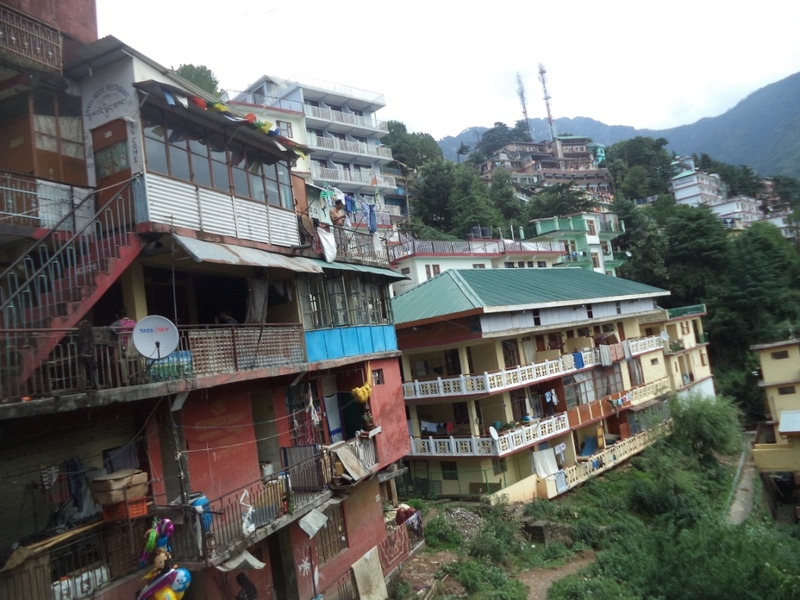 With a sudden left turn near to a hotel named Bella Heights we entered the busy marketplace of Mcleodganj and joined the Temple Road. Turning left once again and moving downwards we entered a world which hardly resembled anything of Dharamshala. Instead of Hindi hoardings we had hoardings and billboards written in Tibetan. People, houses, restaurants, memento shops, market place everything around us had the essence of Tibet. It was just like suddenly waking up in a busy market in Lhasa. 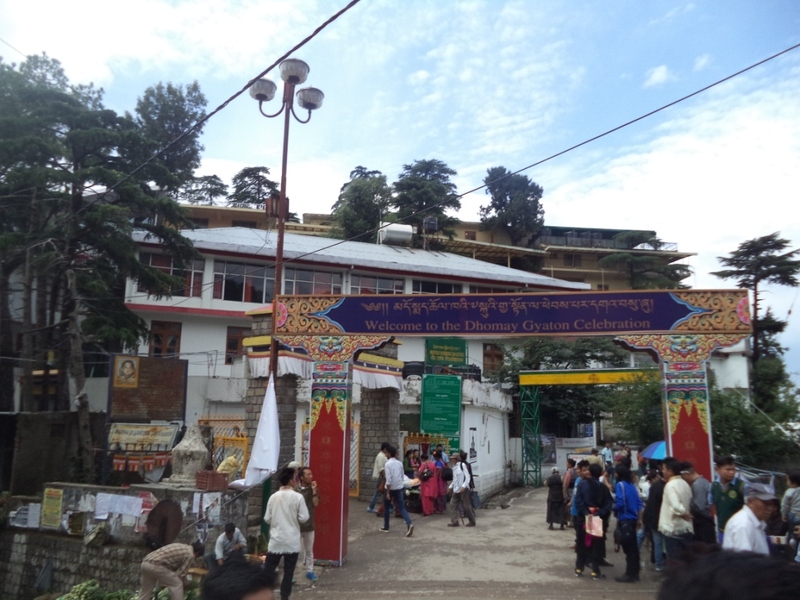 Our cab dropped us just in front of the main entrance of His Holiness Dalai Lama Temple, which had a huge gate welcoming everybody for the “Dhomay Gyaton” celebration. His Holiness Dalai Lama’s temple is one of the most internationally famous monasteries in the world. 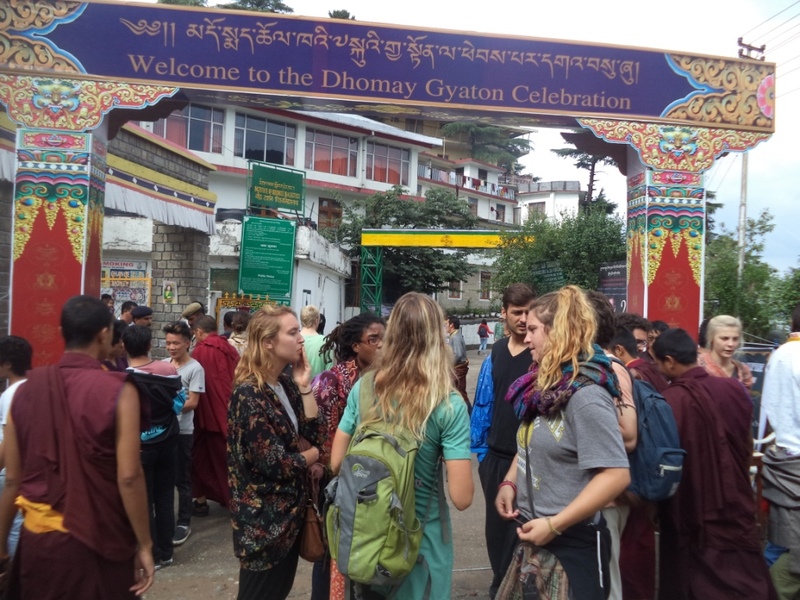 The “Dhomay Gyaton” celebration is the most remarkable festival at the monastery marking His Holiness the Dalai Lama’s 80th Birthday. We were lucky enough to have ourselves in the monastery on this celebration day and holy occasion. With His Holiness already inside the main prayer hall from 8am, there were thousands of people inside the monastery with VIPs, ministers, foreigners, and people from the Tibetian community all around the world for whom it was just like what Durga Puja meant for the Bengalis in India. It was more of a carnival. 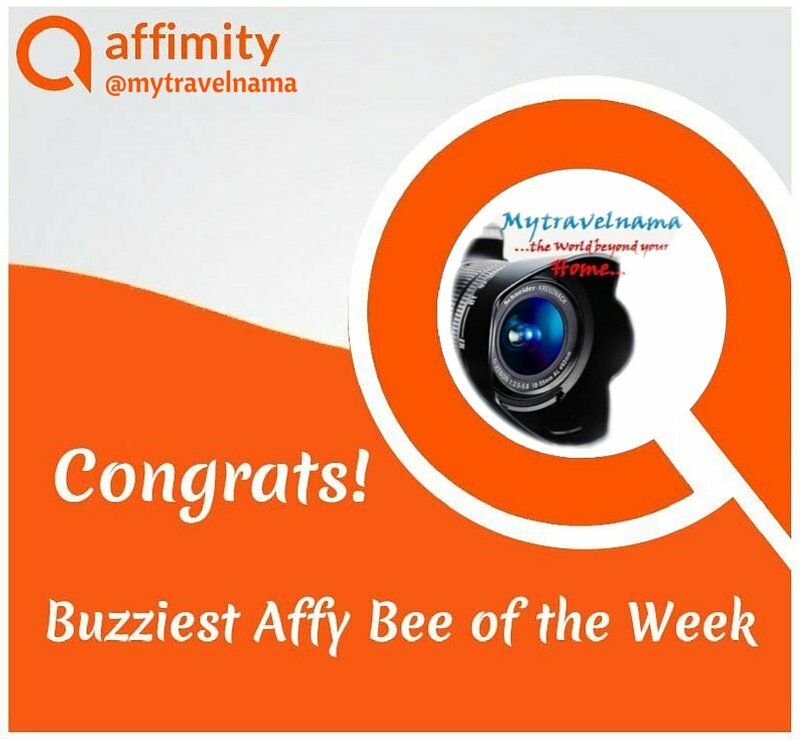 With strict security and restrictions for bags, cameras and cell phones we felt disappointed for not being able to photo-document this grand event. We hardly could proceed a feet inside with thousands of people seated on the ground in front of the main prayer hall. Having a glimpse of the Great Dalai Lama was not only a distant reality, we were literally evicted out by the rush created by the crowd behind us. With heavy hearts we moved towards the museum side entrance of the Monastery. The entry towards the museum is marked by a tall memorial pillar paved by dark marble. The painted mural in the wall behind the pillar speaks of the struggle, bloodshed and sacrifice of the people of Tibet. 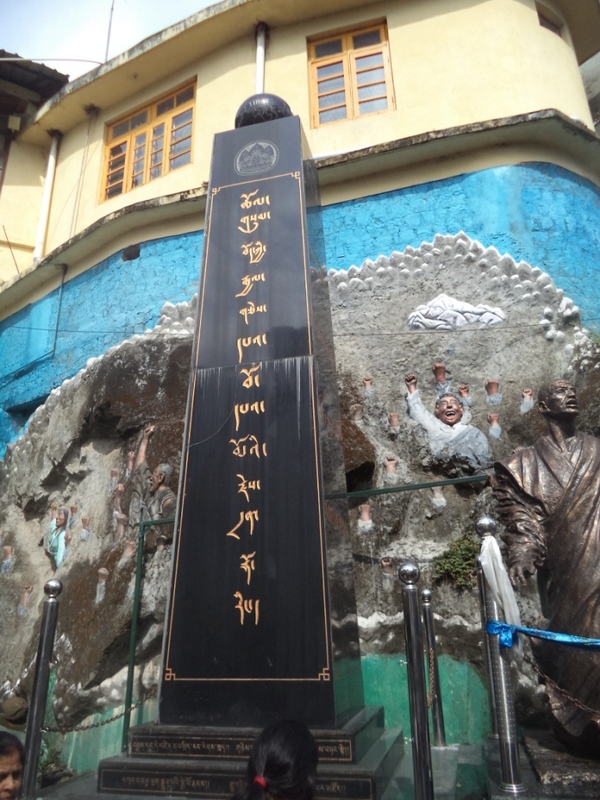 The famous Tibetan museum is located exactly opposite to the memorial pillar. 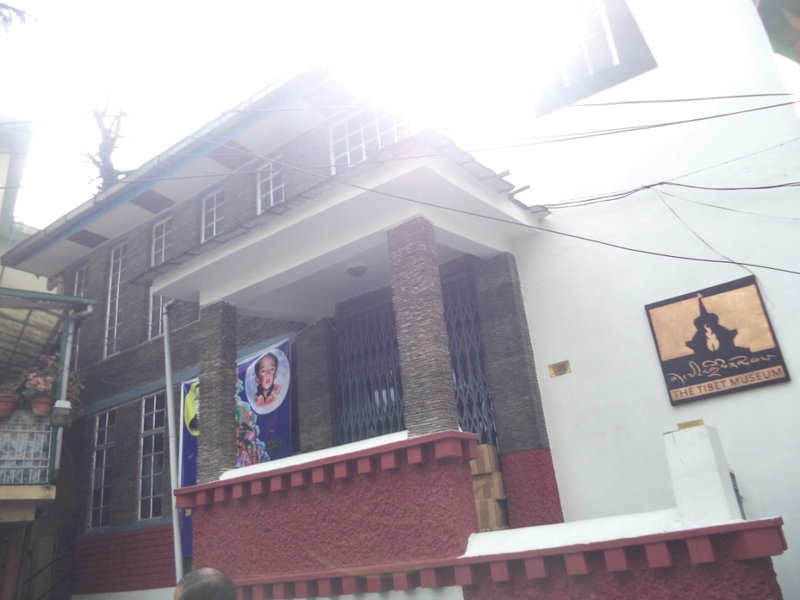 It was established in the year 1998 with an objective of preserving, educating rare ancient Tibetan manuscripts, artefacts, and objects of immense archaeological and historical importance. 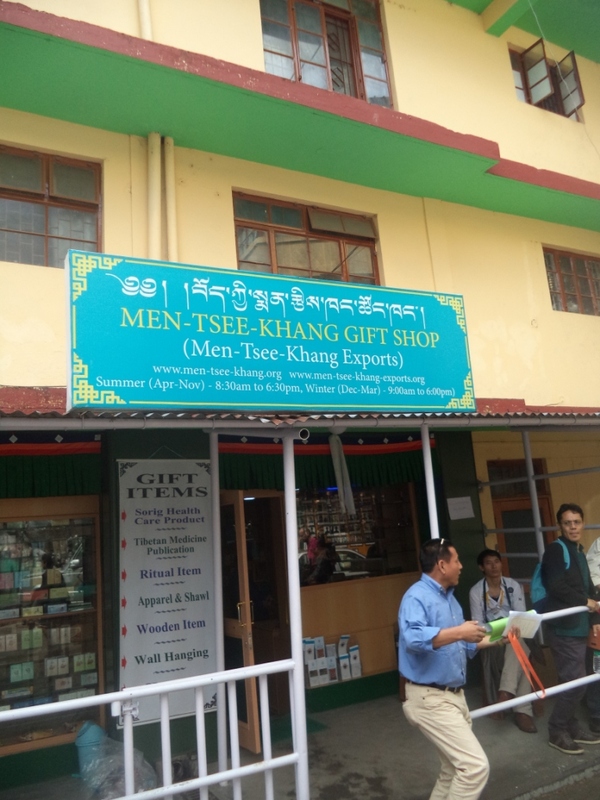 A few metres ahead of the museum we came across a beautiful memento shop “Men-Tsee-Khang” Gift shop. 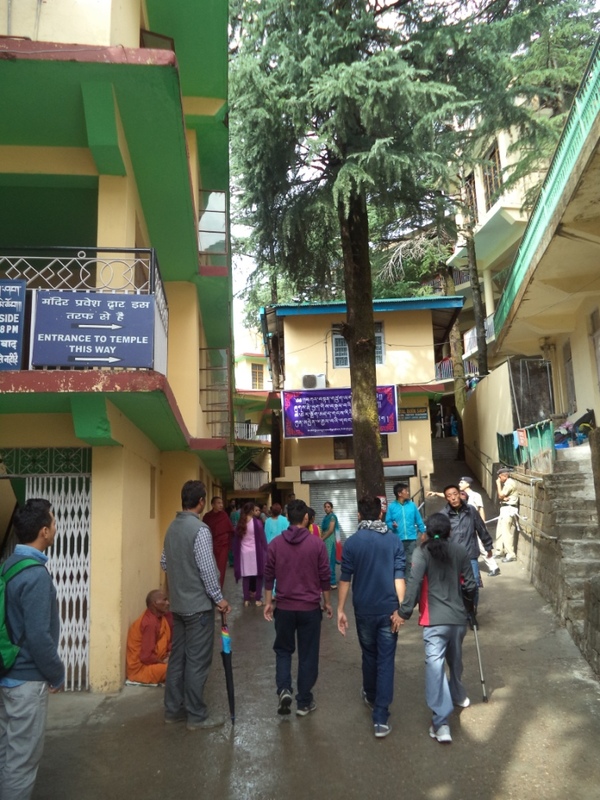 The Men-Tsee-Khang is a reputed Tibetan medical and astro-institute located near the junction of Jogiwara road and the Khara Danda road. The gift shop had all kinds of collections starting from various indigenous Tibetan herbal medicines, cosmetics and handloom products for sale at affordable prices for visitors and tourists. Leaving the gift shop we moved further into a narrow lane leading us again towards the temple complex. We were disappointed once again to find that the authorities had now locked all the gates preventing further entries into the main temple. 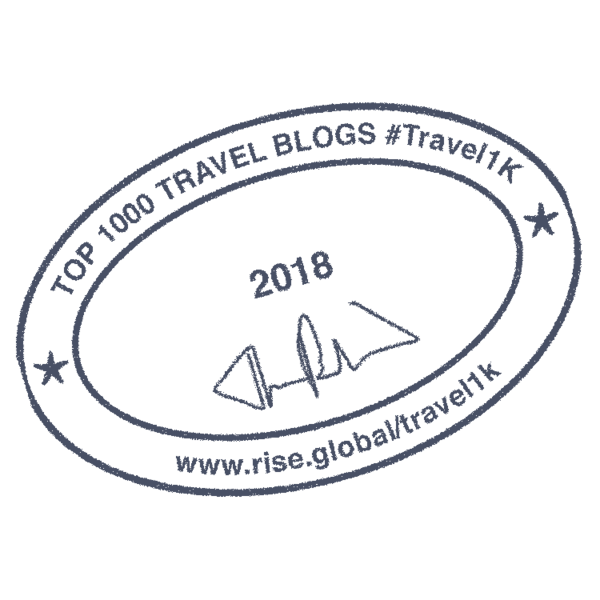 One thing I would like to appreciate and share with you all..meeting new people when you travel is fun. I enjoyed a good five minutes while interacting with this charming gentleman…. We missed the opportunity of lifetime to have a glimpse of His Holiness. But we could feel his blessings everywhere in this holy place. Our disappointment for not been able to see him by person went off fast. Perhaps it was his all pervasive love and affection for the living world and the human kind made him special and the Dalai Lama of the known world. We could feel his aura. We could feel his blessings for a happy life. Getting back from the temple…..
…It was getting late… we moved towards the parking space, a few yards down from the temple complex.